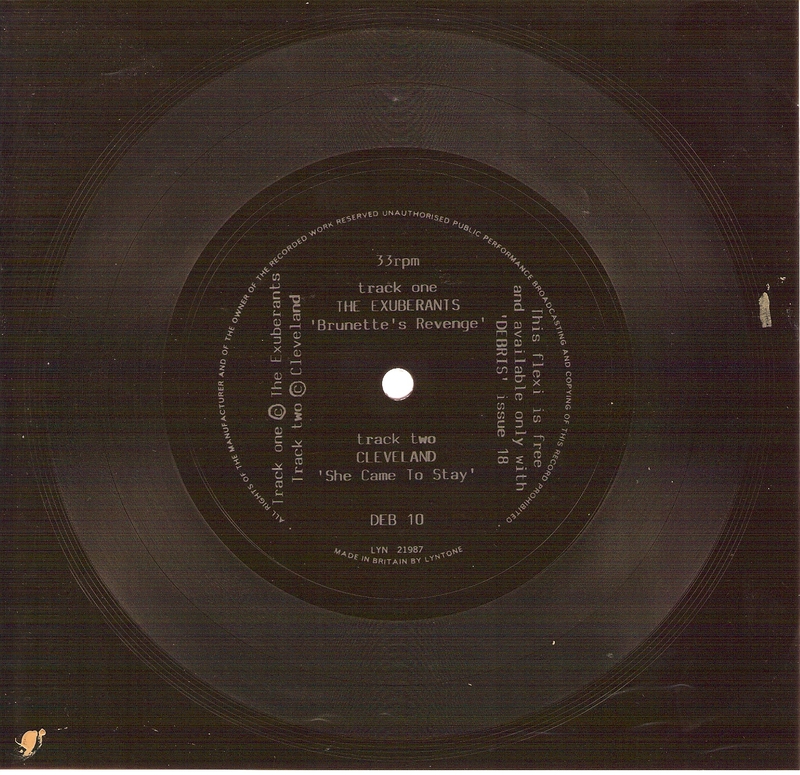 This is a flexi disc record that was given away with Debris fanzine number 18. I believe it is from 1988 but it could be 1989. Tracks featured: 'Brunette's Revenge' by the Exuberants and 'She Came To Stay' by Cleveland. The Exuberants featured American singer Muffin Spencer, younger sister of Jon Spencer (of Jon Spencer Blues Explosion), as lead vocalist. After the limited success of the band, she formed the group Brassy and recorded a John Peel session and further records.